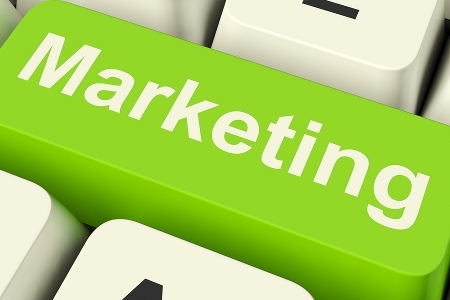 Content marketing is referenced a lot on the internet in 2014. Marketers like ourselves recommend it to brands across the globe. Do you actually know what it entails though? The name covers such a broad area, you’d be forgiven for not knowing what counts as content marketing and what doesn’t. Don’t get in a muddle. There are quite a few content types you can produce to drive interest in your brand. And if one doesn’t suit your purpose, another certainly will. To help you know your options, we’ve devised a list of the types of content that could be key to your future marketing. In January of this year, The Guardian pondered the question: “If it were five years in the future, would you be reading this article or would you be watching it?” It’s an interesting thought. YouTube is full of content marketable material with viral potential; funny cats and dogs, how-to videos that teach you all manner of skills – knitting, playing guitar, the football rulebook etc. 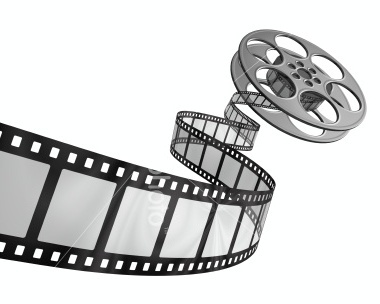 People rely on video content because it’s the fastest way to access information. Think of it in terms of, say, a television adaptation of a novel. The novel can take anywhere from one day to a few weeks to finish reading. By contrast, a television miniseries based on the same material can be watched within hours. Which would you pick? In the digital age our lives have slid into fourth gear. News travels fast and our days slide by quickly, so every spare second counts. Videos make that easier. Short and sweet is key. We have short attention spans. People abandon videos within 10 seconds. Get straight to the point. Introduce your company name in the first 30 seconds. Your audience has a sense of humour. Use yours. Produce clear audio, whether it’s a voice-over or a soundtrack. An e-book is a long content piece packaged in a different format. The dominant format is PDF, but ever since the rise of the e-reader, the formats for books, textbooks and other files has expanded, particularly in the last five years. Amazon Kindle has it’s own format, the AZW, while the main open source format is EPUB. 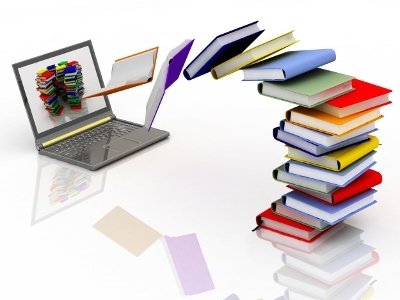 By producing an e-book, you will be able to share your knowledge with others, in a way that appears authoritative. Even the most reputable blog would benefit from a downloadable e-book service. 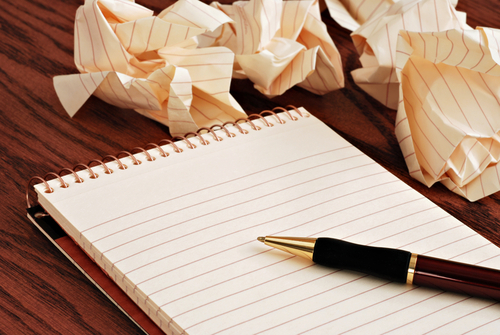 A worthwhile e-book will be ten thousand words or more. Traditional books are divided into chapters. The same applies to e-books. Organise your book by topic and break down into manageable chunks. Give the book a catchy title. Serious consideration should be given to use of colour and relevant graphics. PDF may be the dominant format, but a HTML version allows video, link and audio embedding. 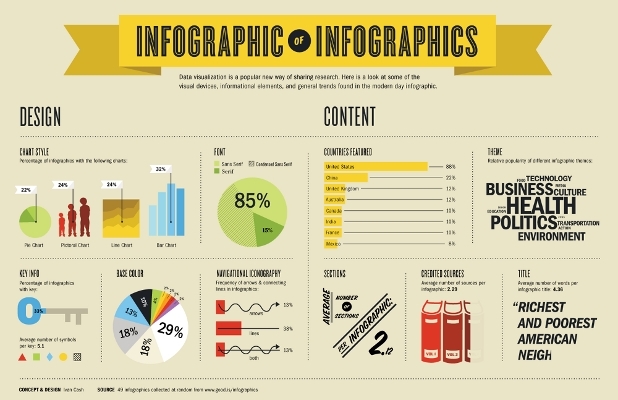 Infographics are the presentation of data and information in a visual medium. Hence the name ‘info-graphic’. They have proven to be popular and powerful tools across the internet, with one study finding that all infographics have viral potential, provided it is shareable. They are three times more likely to be spread than a simple text post. Make sure your data and information is accurate. Everyone makes infographics these days. Consider how to make yours stand out. Presentation is key. Go for simplicity instead of overcrowding. Don’t use harsh colours and tiny fonts. Your information will be difficult to read. “A picture is worth a thousand words.” When you consider Facebook’s acquisition of Instagram back in 2012, followed by WhatsApp in February 2014, and then the meteoric rise of Pinterest, the numbers prove that this old saying is not wrong. In content marketing, images are used to break up large chunks of text, please the eye, supply additional context and meaning and, well, sometimes they’re just good for amusement. Tap into the passions of your customers. Allow users to express their own stories with images via social media. Don’t just tell. Show as well. Inspire customers with images as ideas. Clarify meaning with a visual aid. Help people see you as the human behind the company, rather than just the façade. Having originally been made popular across social networks by the youngsters, a meme is a funny picture with a humorous caption or phrase attached to it. (Well, an internet meme is, a meme as originally conceived by Richard Dawkins is a bit more complex, see here.) 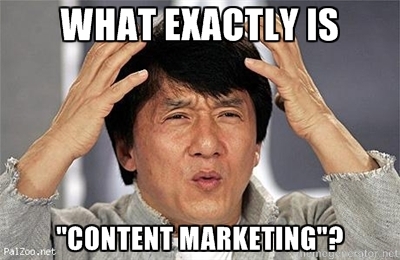 Now what does that have to do with content marketing? A lot, actually. Creative in design, they are able to evoke a personal reaction (a smile, a giggle, a memory jogged) in anyone who relates to it. However, don’t overuse them. They are great for a quick attention grab, but are fairly low in value otherwise. You don’t need graphic design skills. Download a free image editing software package. Photoshop and Gimp are great examples. Meme Generator and Quick Meme let you add text to popular meme images. Make sure your sense of humour is at full capacity. Find a picture that has comical potential. Be creative with your word choices in the captions. Famous movie quotes are used a lot. One of the longest content types you can produce, a guide is a detailed article that offers help and factual information to readers. You are currently reading a guide. They come in a variety of formats. How-to guides, beginners guides, top ten lists, reviews, news analysis. Make sure the topic, layout and format cater to your audience’s needs. Going back to e-books, a downloadable PDF is a suitable end point for a guide. You need a good idea and a good writer on board. Guides can help bring new users to your site. Get a decent designer to ensure the presentation is good. Also known as ‘the rant’, opinion pieces are content marketing at its most potentially controversial. No doubt you’re used to publishing well researched, topical content that has been carefully crafted to be informative and neutral. In an opinion piece though, you’re allowed to be more expressive. A strong opinion one way or the other is encouraged, because the more vehement your writing is, the more likely it is to be read and shared across social platforms. Take heed of the warnings below though, because opinion pieces can backfire. Over-sharing. It’s not wise to post an opinion every day. You start to look a bit… of a nutter. 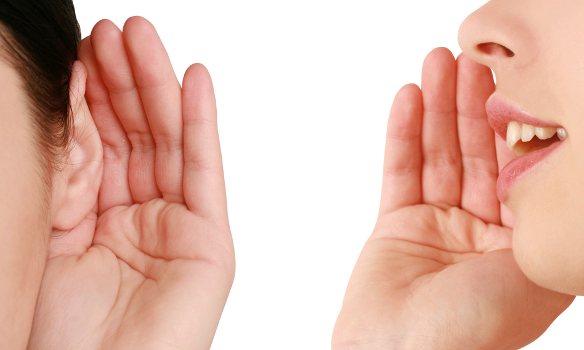 Be open to other people and their views on the topic of discussion. Don’t let your piece become a personal attack on someone else. Be clear that it is just ‘your opinion’ and that you do not claim your words to be factual. Humility goes a long way. Awareness of your own shortcomings. Keep it short. A long rant becomes tiresome and people will just click off.